​​​​​​RIVERTON, Utah (KSTU) - Utah Postal Service workers said they're being forced to fake package deliveries to make it look like they're meeting quotas for companies like Amazon and now, others are saying it's not just an issue in the Beehive State. Fox 13 first reported the problems last week, starting with frustrated residents in Herriman. Several people said they noticed the Riverton Post Office kept scanning packages as delivered, but the packages would be MIA. Then, two or three days later, the package would show up on the doorstep. 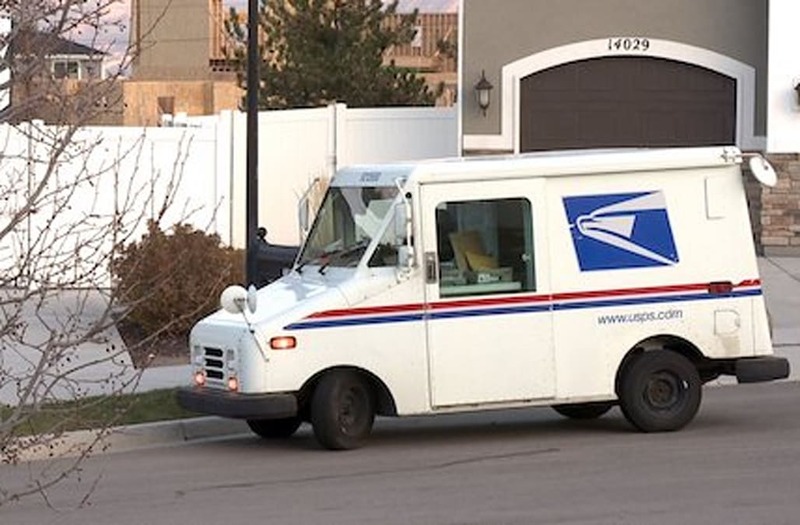 A Riverton Post Office worker anonymously came forward to confirm the faked deliveries in Herriman, and explain that they do it because they are too understaffed to meet the delivery expectations. "They're getting scanned as delivered, so that it looks like they're delivered when their bosses downtown, or the regional bosses, or Amazon says, 'Yes, this office is meeting their quota,'" the employee said. Over the weekend, many people commented that this issue went beyond the Riverton Post Office. "It's obviously not just in Herriman and Riverton," said Angel Stephensen, who lives in Salt Lake City. She received two parcels from the USPS on Monday, filled with Christmas gifts. While these goodies were supposed to bring joy, they did the opposite. "I was angry," Stephensen said. That's because the packages were supposed to arrive Saturday, she said, and they were even checked off as delivered and waiting on her doorstep. "When I checked the status, it said it was delivered Saturday," Stephensen explained. "It never was, and it didn't show up here until Monday." Hundreds just like Stephensen reported noticing what appeared to be falsified deliveries of their packages. Many who commented online said they lived in various cities in Utah, but the comments expanded to other states including Ohio, Illinois, Florida, South Carolina and California. In Atlanta, local postal workers made the same claim in a similar news story. "We have to falsify the timing where a lot of carriers don't want to do that, but you're mandated to with a director order," a postal carrier said. On Monday, Fox 13 spoke with a man who verified he's a USPS carrier in California, and he said it is very commonplace to falsify package deliveries. "We have a very big contract with Amazon dollars-wise, and we are trying to prove to them that we can deliver... 99.8 percent delivery every day," he said. "So, they try and hit that target." He indicated that 'hitting that target,' leads to manager bonuses. "It's about management chasing their numbers," he said. "The reason they chase their numbers, is again, to get their bonuses." But, he and the other postal workers said it leads to overburdened carriers in Postal Offices that in many cases are already understaffed, unhappy customers and a frustrating situation for everyone. Stephensen said that while she did end up getting her package deliveries, for her, it's the fact that falsifying deliveries is lying to the public. "It violates the public trust," she said. Fox 13 reached out the USPS and asked questions about the claims of faking package deliveries. "The Postal Service is committed to making safe, timely and accurate deliveries. We continually review our staffing and scheduling and make necessary adjustments in order to enhance our services. We expect to deliver more than 15 billion pieces of mail nationwide during the holiday season, our busiest time of the year. We appreciate all of the hard work our employees are doing to ensure that our valued customers' packages and mail are delivered in a timely fashion."